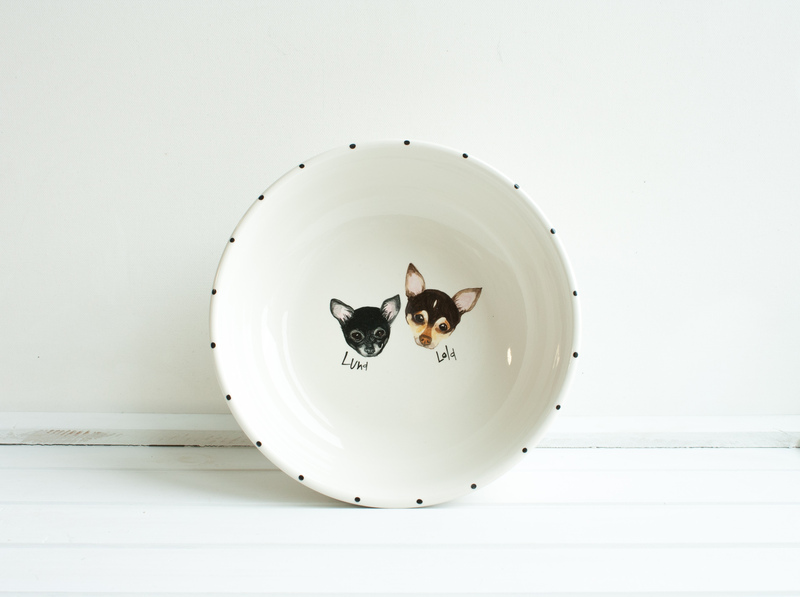 Have your precious pet painted onto pottery by the talented Miss Jillian Mateus. 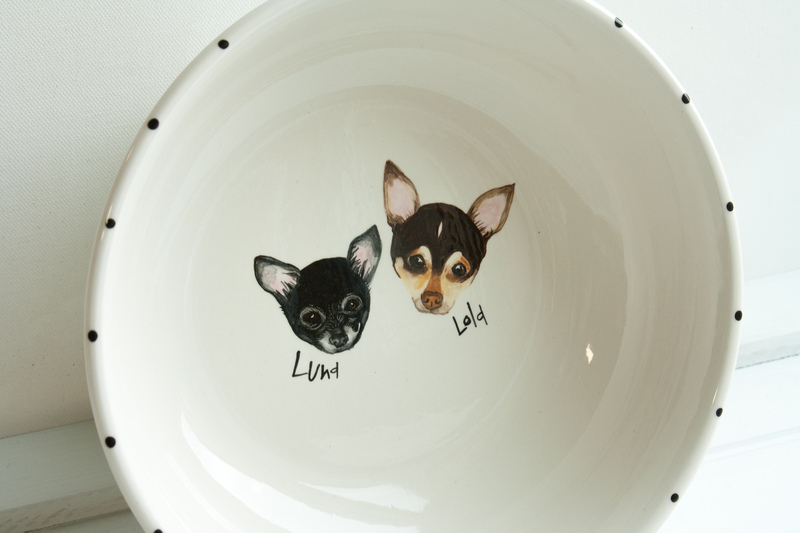 Geri's daughter, Jillian, hand painted Luna and Lola onto a 9" round, 3" deep ceramic pasta bowl. When placing your order, please upload a clear picture of your pet looking at the camera. Also, include your pet's name if you would like it on the bowl. 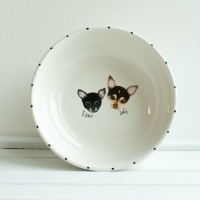 Please allow 4-6 weeks for your custom pet product to be created.